In addition to this, Watson Dairy Consulting project managed the dismantling and shipping of equipment including Spray Dryer, Evaporator, Separation, Butteroil etc from a recently closed medium sized UK Dairy Factory to Lahore, Pakistan. Watson Dairy Consulting provided services to supervise the marking, dismantling, containerising and shipping of dairy equipment, including preparing detailed contents lists and photography for insurance purposes. We guided the team of engineers, architects and civil engineers in Pakistan to ensure the building of a well designed facility and identified any missing equipment together with recommending which items should be renewed or serviced. 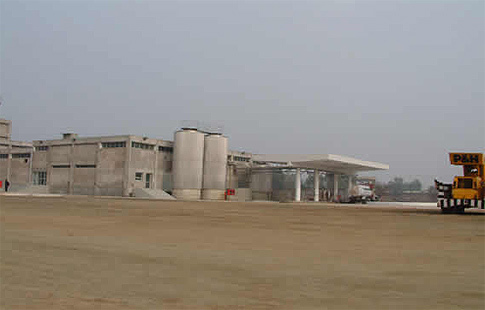 The dairy factory in Raiwind is today recognised as one of the leading dairy plants in Pakistan. The current population of Pakistan is 203,729,708 as of Thursday, April 11, 2019, based on the latest United Nations estimates. Pakistan population is equivalent to 2.65% of the total world population. Pakistan ranks number 6 in the list of countries (and dependencies) by population.